This time it's war! The forces of the shaky alliance between the "Hunter" Predators and Colonial Marines against the enemy Predator clan and the Alien warriors under their control! This dynamic snapshot of the raging battle is brought to life by artist Raymond Swanland. Measuring 18-inches x 24-inches, this Alien vs. 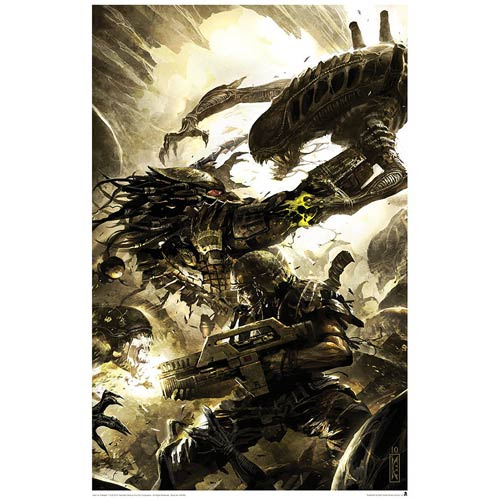 Predator Three World War #4 Lithograph Print is a limited edition of 495 hand-numbered pieces. Each lithograph includes a certificate of authenticity.